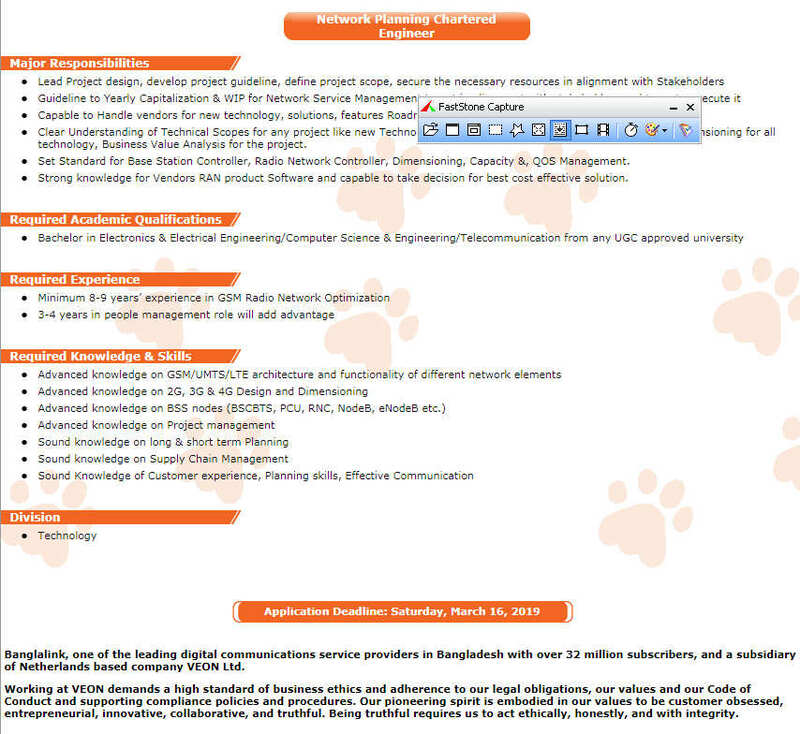 Career Opportunity at Banglalink Customer Service Jobs/Call center for Student of Bangladesh. Banglalink Career updates Vacancy list are published by banglalink.bdjobs.com . Banglalink job circular also available on my website at ejobscircular.com . In this page Banglalink job seeker will able to apply current jobs by online. Banglalink e-Recruitment System with Online application form found below this post. If you are a candidate for those jobs you must have to apply before March 16, 2019 . Application Deadline: Application will be continued till March 16, 2019. 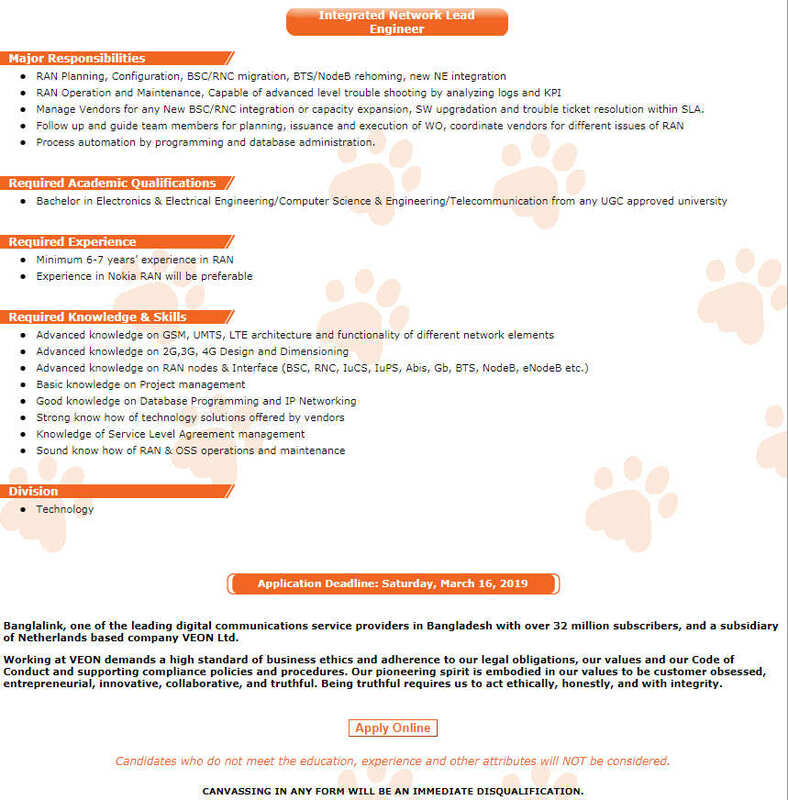 Welcome to the e-Recruitment System of banglalink digital communications limited. To apply online, you have to fill up the online Application/Resume Form and then submit it online. If you are applying against any particular advertised position, please go through the job requirements before applying. Please note that, you will be provided a tracking no. after successful submission of your application/CV form. Using the tracking no. and password (provided by you at the time of form submission), you can update/edit your CV at any future time or apply to Banglalink against any position advertised at this e-Recruitment system. You have to fill up all * marks fields to complete your application form. Academic distinctions means yours scholarships,award or extra qualities of education. This entry was posted in Call Centre Jobs, Customer Service Jobs and tagged Banglalink Job Circular, banglalink.bdjobs.com All Jobs by ejobscircular. Bookmark the permalink.